I love every item in Colette Bream’s Etsy shop! 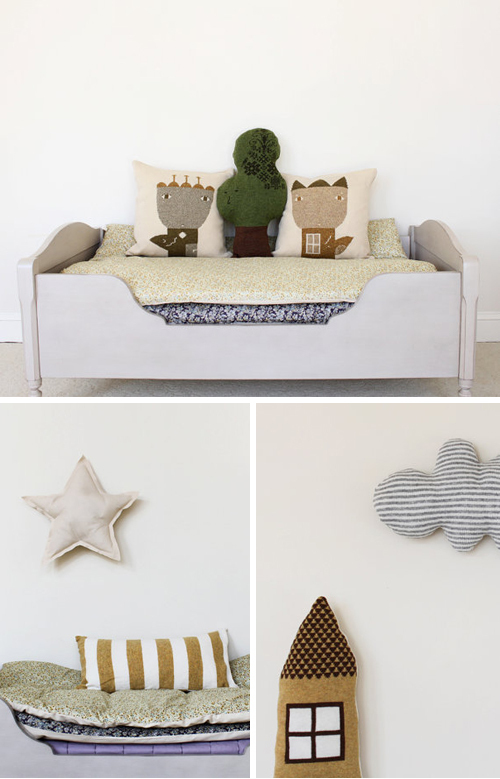 The Mattress Pad (top image) can be used on the bed or on the floor as a play met. The famous, high quality cotton fabric from Liberty of London has been used for this product. Liberty style is characterized by tender palettes, attractive flowers, and detailed movement. 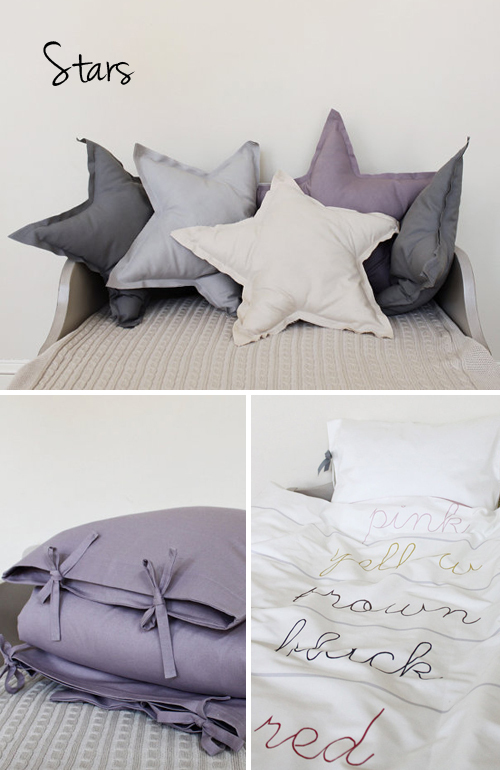 And what about those star shaped cushions with a cotton raw edge! 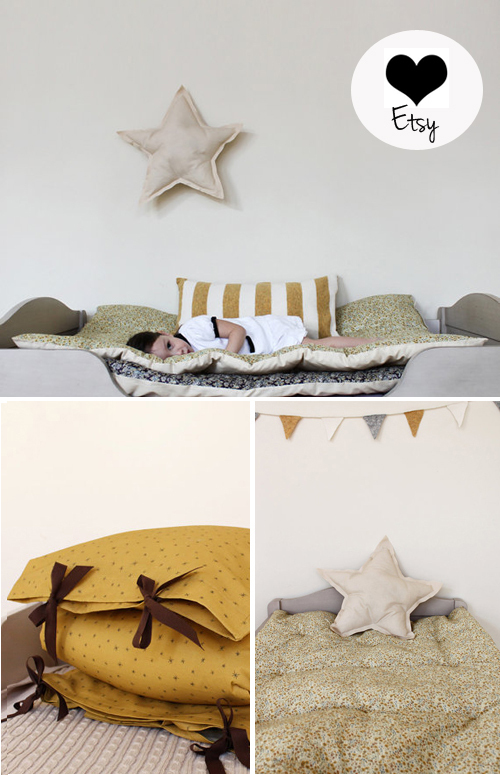 These look gorgeous in a nursery or kids room and are perfect for sweet little naps. Other favorites of mine are the house shaped pillow made from lambswool and the cloud shaped pillow which is also made from lambswool. Hi, Love the star pillows!! Just wunderful!! have a great day!! Adorable! I love the star pillows. Her products look so sweet. SF always seem to find the most cozy of “things” out there. Thanks for sharing ! Will definitely buy one of those star pillows ! Who is the manufacturer of this kids bed? Thanks!